We at Jmedia Nigeria just got a juicy gossips we can't hold any longer to leak. 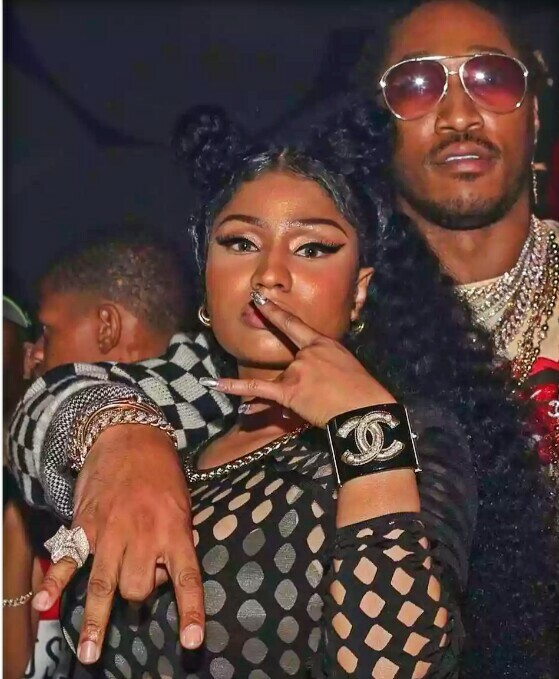 We just got words from a trusted America blog that Nicki Minaj and rapper Future are officially dating. Below is how MTONEWs are reporting the said story. 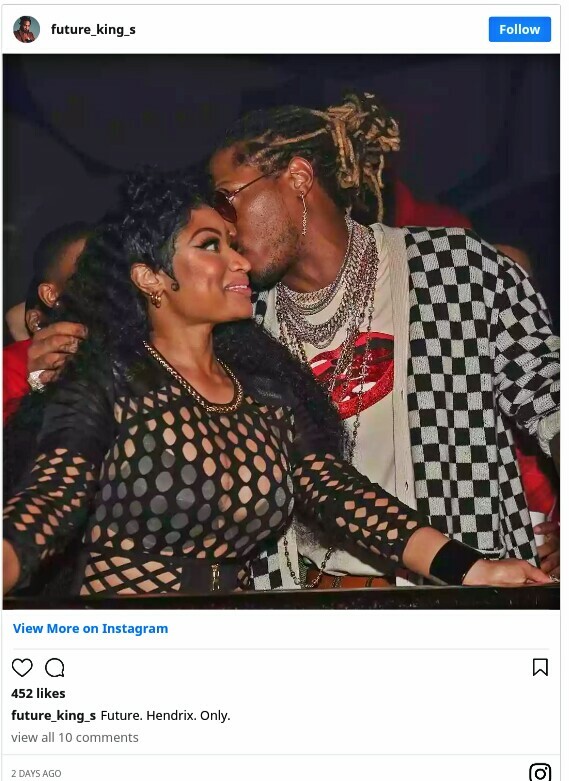 MTO News just got confirmation — Nicki Minaj is now dating Future. This is not rumor or speculation — it's 100% FACTS!! We spoke with one of Nicki's female friends, and she CONFIRMED that Nicki and Future are seeing each other. The insider explained, "Nicki is a BOSS so she can't date any old n***a. Her and Future have been kicking it for months." The insider told MTO News that there was always some attraction between the two, but it really heated up - when the two began recording together a few weeks ago, The tipster added, "Future is all over Nicki's new album. You'll see when it comes out." And the couple seems to be pretty PUBLIC about their new budding relationship. They were spotted BOO'D up at Liv last Sunday in Miami. 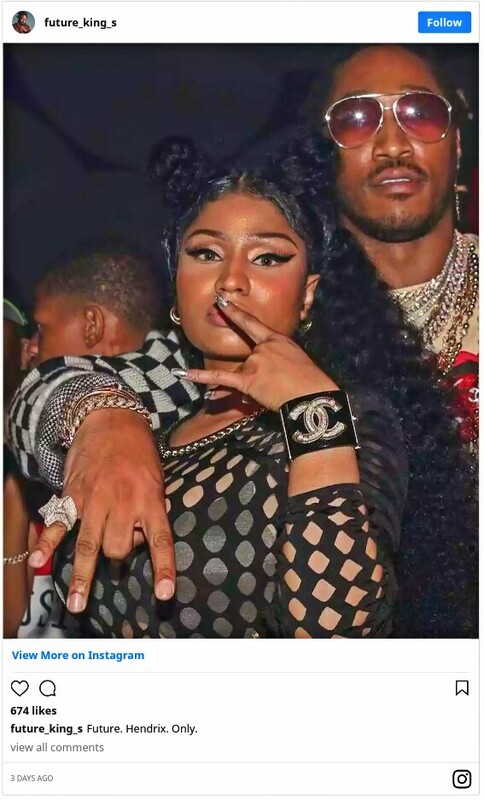 MTONews reported earlier this week that Future brought Nicki out during his set at Miami's Rolling Loud Festival. And it was NOT what fans expected. Nicki came out during Future's set and the fans were initially HAPPY to see Nicki performing her hit song Chun Li. But after juts a few seconds, it became clear that they weren't seeing Nicki rap her lyrics - she was lip synching.